Between February 22nd 2019 and March 1st, the West Grey Police Service responded to 59 calls for service. On Wednesday February 27th 2019, an employee at Hanover Mini Storage called police to report U-Haul cube van stolen. The van was rented on February 22 and was never returned. On Thursday February 28, 2019 the unoccupied U-Haul van was recovered by the OPP in Wellington County after it had been involved in a pursuit near Orangeville the day prior. The U-Haul was turned over to the West Grey Police to complete their investigation of the theft. As a result of the investigation a 36-year-old Markdale man was arrested and charged with Theft of a Motor Vehicle. He was held in custody pending a bail hearing. On Thursday February 28th 2019, the West Grey Police arrested and charged a 54-year-old Wingham man with Criminal Harassment. Charges came after an investigation which detailed ongoing harassment of a female victim over a family dispute. The accused was released on a Promise to Appear with conditions not to communicate with the victim or attend her residence. He is schedule in court later next month. 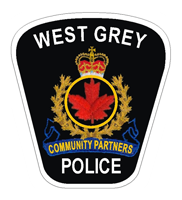 On Friday March 1st 2019, a member of the West Grey Police Service was able to assist a 61-year-old Southgate man who was in medical distress on Grey Road 3 near the Ayton Community Centre. The officer was able to perform CPR on the man until ambulance arrived. The man was then transported to a local hospital for further medical attention. On Friday March 1st 2019, the West Grey Police Service hosted the third annual Polar Plunge for Special Olympics Ontario at St Peters St Paul’s School. The event raised $10,000 for Special Olympics and was a great success. West Grey Police would like to extend our greatest appreciation to the West Grey Fire Department for supplying our plunge tank and to all of our local sponsors and contributors and to St Peters St Paul’s for being our host location.